This is the project of the book for which you want to order copies. 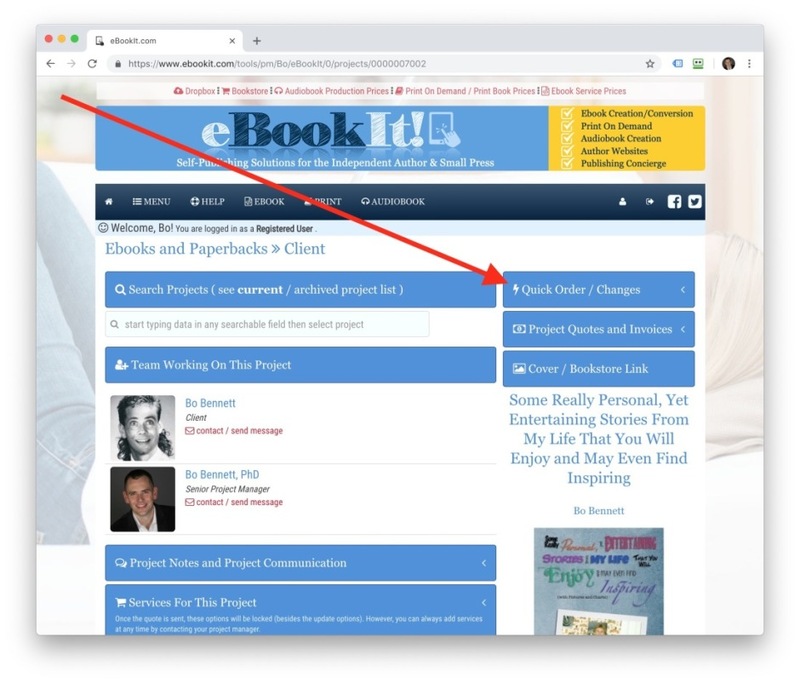 See here if you don't know how to access your project. You can order your paperback books from Amazon KDP or Lightning Source, or heardcovers from just Lightning Source. 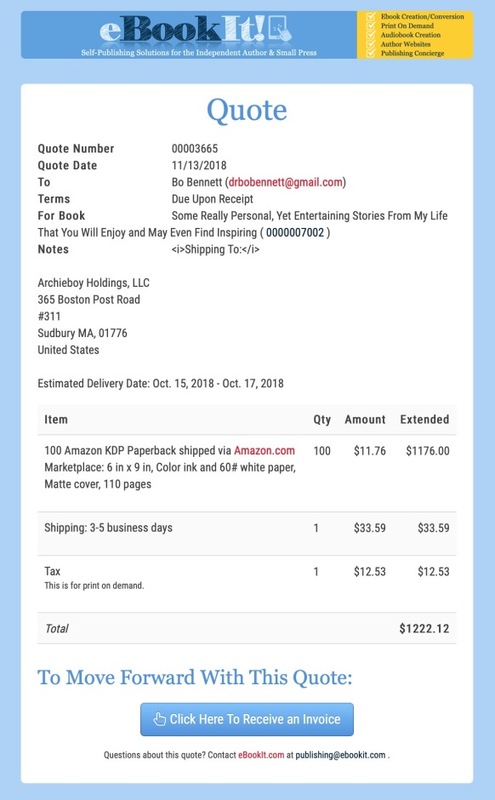 There are just a few things to know for us to send you a quote on your books (we need to calculate the shipping and tax based on your chosen address). Enter in these details and check the "Yes! I would like to receive a quote for author copies" box. We usually get a quote out to you within hours (sometimes minutes). 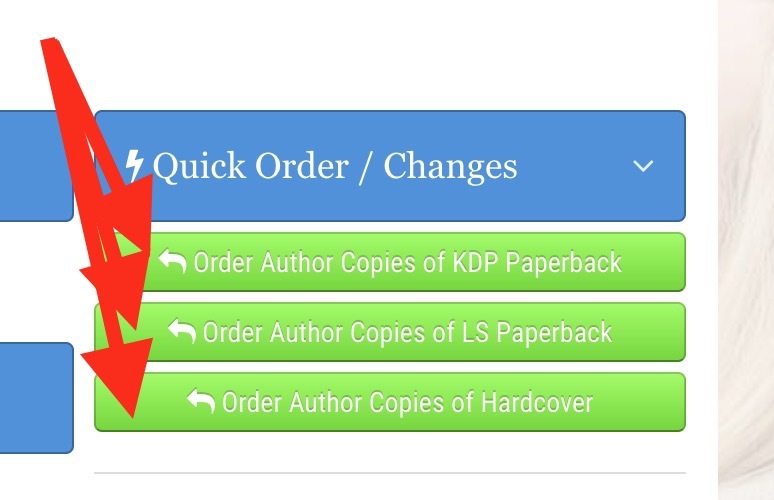 Example shown is for Amazon KDP. You will receive a quote via e-mail within 24 hours (but often within minutes, depending on the time of the day). 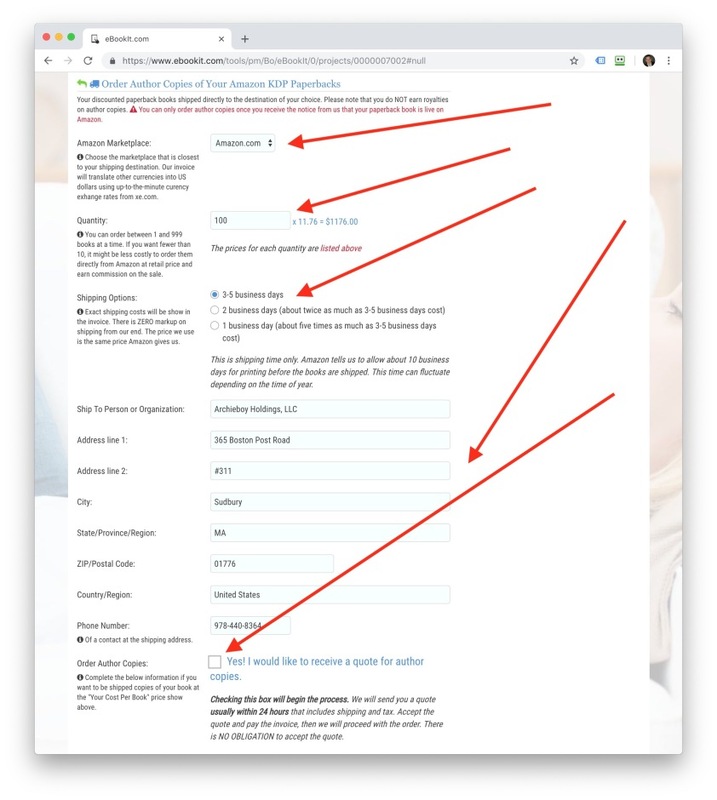 Carefully review the information and if all looks good, accept the quote by clicking the "Click Here to Receive an Invoice" button. 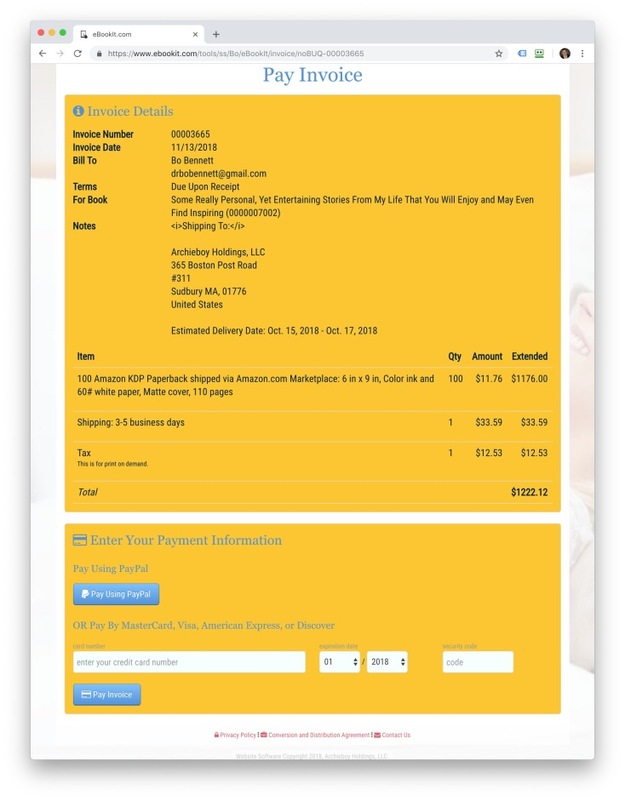 Once you accept the quote you will be taken directly to the screen where you can pay the invoice.